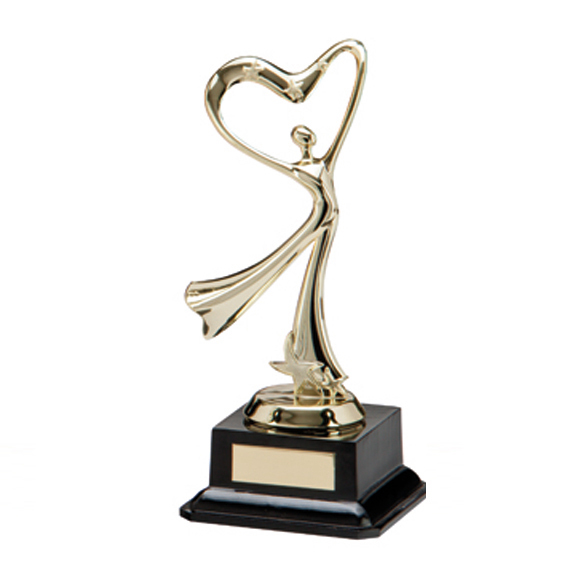 Gold Modern Heart Dancer Trophies. This popular award measures 215mm high. Gold plastic figure on a black plastic weighted base.